The L-type features ultramodern manufacturing and design, with "old school" feel and functionality. 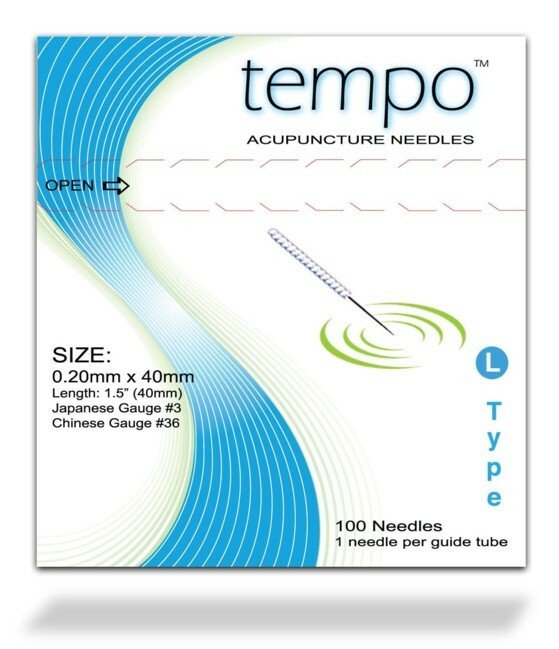 Featuring top-of-the-line needle construction identical to Tempo's J and D-type needles, the L-type features a traditional "spring" style handle that will allow for needle top moxibustion as well as traditional techniques such as scratching the handle to "call the qi." Best of all, our unique tab-less design means less waste and easier use, making this the most user-friendly premium metal-handled needle on the market. With the L-type needle, you will never again have to sacrifice needle quality for a traditional handled needle.